A famous classic that teaches a simple form of mental prayer by which to attain great spiritual progress in a short time. Explains the Our Father phrase by phrase, plus much more! Says God rewards our efforts far beyond what we deserve! St. Teresa of Avila was born in 1515 at Avila, Spain, and her mother Beatriz was determined to bring her up as a good Christian. She attempted to find martyrdom by running away from home when she was seven, but was promptly stopped by her uncle. She later became a Carmelite nun and began to experience, while suffering from sickness, spiritual ecstasy as a result of reading Francisco de Osuna's Third Spiritual Alphabet. In 1599 she was convinced that she was actually seeing visions of Christ, which continued often for two years. Teresa of Avila founded a good many convents, including at Andalusia, Palencia and Soria. She is also the author of The Interior Castle, The Way of Perfection, and an Autobiography. She died in 1582 at the age of 67, and was canonized by Pope Gregory XV in 1622. Her feast is celebrated on October 15. This edition has been freshly re-typeset from an older, traditional edition and printed on high quality, acid-free paper. The cover is bound in genuine, highly-durable, eather with beautiful ornamental gold blocking on the front and the spine. This great classic by one of the Church’s most famous mystics and spiritual guides is essential reading for anyone wishing to make real progress in the spiritual life. 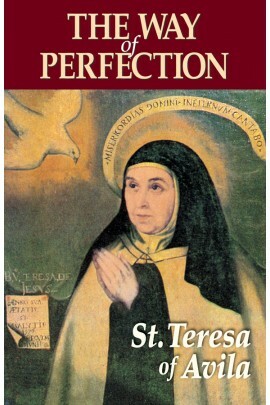 By turns pithy and poetical, humorous and stern, full of Spanish fire and the practical common sense that made St. Teresa one of the Church’s most effective leaders and reformers, it is a book that no Catholic who takes their faith seriously should be without. 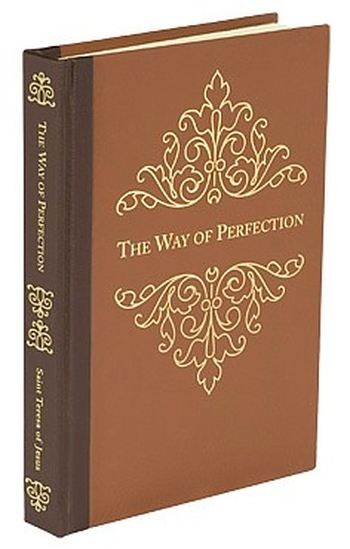 To celebrate the release of the first five Classic Series titles, The Way of Perfection has been made with a split color leather binding, limited to the first edition only! Size - 5.5" x 8". Hardbound (split bound in dark brown-light brown real leather) with silk ribbon marker.